» Bucharest is the city of many parks and gardens, surrounded by lakes and forests. During the 1930's its tree-lined boulevards and architecture gave it the nickname 'Little Paris'. 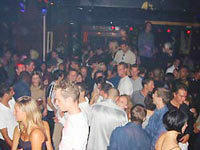 Also is famous for its very intensive night life. Romanian people is a latin one and the romanians love to live. » Usually the arrival location is Bucharest Otopeni International Airport or Bucharest Baneasa Airport. To see much of Bucharest, the best solution is to rent a car with EuroCars, you can do that by internet the most common and cheap solution, in case you don't know our address: http://www.eurocars.ro or you can pick up your car from airport. The transfer from airport to your hotel/pension/rental apartment in Bucharest with EastComfort center is taking approx. 30-45 min. After settling in your private hotel room, Bucharest is yours , and we are sure that you will see a new face totally different, showing the rapidly developing of Eastern Europe. Bucharest's museums are for visitors a great attraction, especially the open air Village Museum (1936) in the Herastrau Park. Located in the heart of Bucharest, the museum represents for all Romanians and their foreign guests a sample of the Romanian spirit, a live image of the traditional village, a major expression of our natural art. It is an impressive ethnographic document and of social history. Also, you should not miss the National History Museum, the National Arts Museum and the "Grigore Antipa" Natural History Museum. The Museum of The Romanian Peasant is part of the large family of European Museums for Folk Arts and Traditions. Owner of an impressive collection of objects, even if otherwise poor - as far as the financia point of viewl, the Museum of The Romanian Peasant in spite of all these, has managed to put in practice a special type of museology. The original poetics developped in relation to the object was certain one of the reason why the Museum was awarded the EMYA - European Museum of the Year Award. Nicolae Ceausescu create his "Civic Centre", the center piece of which was a building of monumental proportions - the "House of the People", now the Palace of Parliament.With a total surface aria of 265,000 sq. m., it is the biggest in Europe and the second biggest in the world, after the Pentagon. Bucharest is a true "green capital" of Europe, Bucharest has many verdant oases, such as Cismigiu Park (arranged by Viennese architect F. Meyer), Herastrau Park (on the banks of the lake with the same name, a pleasant spot for recreation and water sports), Carol Park and The Botanical Garden. Food in Romania is very good and cheap if you compare to western prices. It seems expansive for local standard of living. Although international cuisine is available in better quality restaurants, make sure that you savour the local Romanian dishes. Typical Romanian specialities include a range of soup - "ciorba", bacon, potatoes and beef or chiken." "Sarmale" is a spicy dish of bitter cabbage leaves stuffed with meat, and "Mititei" are small grill sausages perfumed with aromatic herbs. A range of excellent white and red Romanian wines of the famous vineyards of Cotnari, Murfatlar, Valea Calugareasca, Odobesti accompany local and international dishes to perfection. 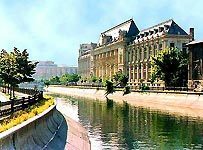 A short trip offers you the possibility to combine a short sightseeing tour of Bucharest with the surrounding beautiful landscape offered by Snagov Lake and forest embroidered with monasteries and palaces.You can cross Snagov Lake by boat up to an island where you can visit the Snagov Monastery. Bucharest offers many possibilities for a night full of fun. There are a lot of bars, night-clubs, casinos, cinemas and cabarets waiting for your choice. And that's not all, there is also a great variety of art exhibitions, concert halls, operas and theatres that would satisfy all tastes. Prices are reasonable and the atmosphere in bars, restaurants and night clubs is welcoming, romanians are warm-hearted people who like to enjoy themselves. Why not join them and have fun? - gambling in bucharest is big business, and it shows with the large amount of casinos some of them are in very beautiful historical buildings, and they often have genuinely good restaurants, open well into the early hours. 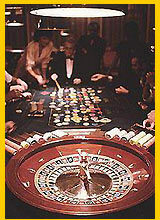 The most attractive are the Casino Palace, incorporating the Casa Vernescu restaurant, in the Lens-Vernescu palace at Calea Victoriei 133, and the Victoria Casino - One of the older and better known casinos, which also has a dinner show. Gambling is available in both dollars and lei. Drinks are free, and there is no admission charge and Casino Bucharest near Hotel Intercontinental. Clubs&Disco - Of all the wonderful things that Bucharest has to offer, nightlife is not the least of them. There is something for everyone in this town.Like most other things in Bucharest, you often have to travel to find what you really want. Twicehas an overall space of 1.500 sq.m, divided between two floors, each with its distinctive personality, nice music for dancing and drinking. Salsa You and Me - Head to Salsa You and Me for come-one-come-all Latin grooves. Club Maxx is a huge disco popular with the local students. Don't get seperated from your friends you will struggle to find them again. Be prepared for the raunchy shows on the podiums, male and female!